Microfiche technology was once the go-to for storing large company files in an easy and manageable way. Many large organizations depended on this data storage method for record safety and accessibility. Of course, this was an era where computers had yet to rule pretty much everything. Now, with the existence of more effective technology, these same companies that operated with the help of this now defunct technology are now recruiting the help of microfiche conversion specialists to transfer their data to a more digital platform. If your company has yet to join the microfiche conversion movement, it may be costing you more than you think. How is Microfiche Slowing Your Business Down? 1. Microfiche equipment takes up space in your office. Laptops and mobile phones are only becoming more lightweight, so a large microfiche reader in your office may look a bit out of place. 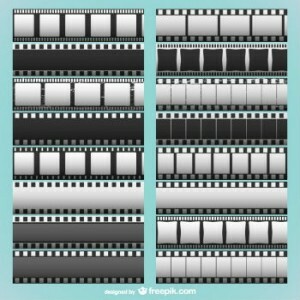 The advantage of microfiche conversion to digital storage is that it’s compact, and you’ll only need a computer to access the files you need. Eliminating this equipment can open up space for other office tasks. 2. The equipment is costing you more money (and won’t be around forever). Equipment requires maintenance. Maintenance costs money. The money you’re spending on repairing and replacing microfiche equipment can be allocated towards other growth promoting expenses. Plus, while microfiche sheets were promised to last virtually forever, the tools that help make these sheets readable won’t. The demand for microfiche equipment has decreased as a result of the shift to a digital platform. This means that replacement parts–and even whole readers–are harder to come by. A microfiche conversion can prove to be more cost efficient for your business in the long-run. 3. You could be retrieving your data faster. Imagine having to search through various slides to find a piece of information your colleague or client need ASAP. Converting your microfiche files to digital storage will allow you to view and share your documents instantly. Plus, many files are available across several file formats, so you can view your data in more ways than one. 4. Your information isn’t as safe as you think. Microfiche sheets must be stored in cool temperatures in order to preserve the integrity of the data. They must also be handled with care to avoid physical damage. This makes safety a high precaution when working with microfiche. Digital storage is much more durable and less susceptible to damage. At Document Scanning Services LLC, we provide microfiche conversion services to companies nationwide. We understand that switching from microfiche to digital can feel daunting. Our cutting edge technology makes microfiche conversion a smooth and painless experience. Simply provide the microfiche files you’d like scanned and we can provide a free scanning quote. Want to learn more about the microfiche conversion process and how you can begin to access your files quickly and hassle-free? Call us today at 954-271-0118 to get started.